Located in South America, the modern republic of Paraguay is a presidential constitutional state. Its name apparently originates from a native Guarani word or words that relate to the river which runs through the heart of the country, although this is disputed and many other explanations are offered. The country borders Brazil to the north, Bolivia to the north-west, and Argentina to the south and east. Its capital is Asuncion. Paraguay was initially a region within the vice-regency of Peru, and under the direct control of Rio de la Plata. Spanish settlement was sparse, allowing the original Guarani population to exist in relative peace for the most part. Then in 1617, Francisco de Borja y Aragon divided Rio de la Plata in two, creating Buenos Aires and Paraguay, both of which remained dependencies of Peru. 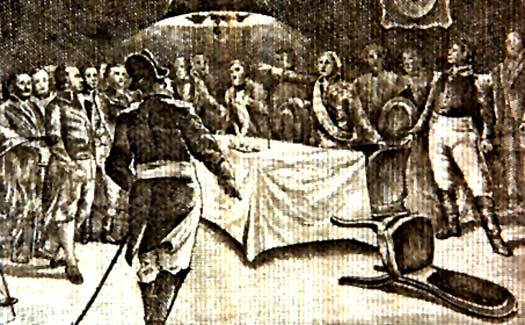 In 1776, Rio de la Plata was created a vice-regency in its own right to govern Peru's former southern provinces of Argentina, Bolivia, Paraguay, and Uruguay. The name Paraguay was used for the entire Rio Plata basin at first, but these gradual subdivisions saw it eventually applied to the territory which forms the modern state. Independence was declared in 1811, but the state lost large swathes of its territory following the bloody Chaco War in 1935. The country announces and consolidates its independence. Jose Gaspar Rodriguez de Francia is one of two joint consuls who are elected at first to govern the country on a four-monthly rotating basis, but he quickly assumes total control, ruling Paraguay as a benevolent dictator for his lifetime. Chairman of the military junta. Chairman of the military junta Jan-Feb only. President of the military junta Feb-Mar only. Mariano Roque Alonzo establishes a government ruled by consuls; himself and Carlos Antonio Lopez, although the latter becomes sole consul from 13 March 1844. Son. Semi-dictatorial president for life. Killed during the war. As a result of Lopez's declaration of war against Uruguay, the states of Argentina, Brazil, and Uruguay go to war against Paraguay in the War of the Triple Alliance (which is also known as the Paraguayan War or the Great War in Paraguay). It proves to be a long and costly affair, causing more casualties than any other South American war. Paraguay is totally defeated, losing almost half its territory, with the war turning into a drawn-out guerrilla conflict that causes devastation to Paraguay's population. During the war, Brazil's army ransacks the Paraguayan National Archives, moving its contents to Rio de Janeiro. They remain there, kept permanently secret, so that Paraguay's early history is often a poorly-documented one with many conflicting views of events. From 1870, a democratic form of government is introduced in the defeated country. The outgoing president, Bernardino Caballero, rigs the election to ensure his favoured successor, Patricio Escobar, wins. As a response to this, his opponents form the Liberal party, while he founds the Colorado party. Caballero retains a great deal of power in his role as commander of the army, while his favoured candidates govern as president. Juan Bautista Eguzquiza organises a coup against Cabellero's selected president, setting a precedent that will be followed time and time again in the twentieth century. Cabellero organises a coup of his own to place Colonel Juan Antonio Escurra in office in 1902. 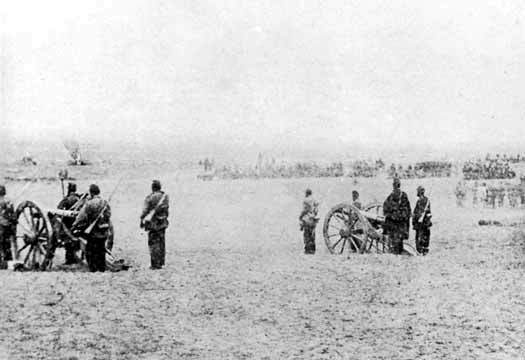 Escurra is overthrown in 1904 by intervention from Argentina, with General Benigno Ferreira and various Paraguayan factions supporting him and fighting for four months to take control. On 12 December 1904, on board an Argentine gunboat, Escurra signs the Pact of Pilcomayo and the Liberal party subsequently gains power. With the Colorado Party out of office, Brazilian influence on the country declines while that of Argentina increases. Unlike many of its neighbours in the Americas, Paraguay remains neutral during the First World War against Germany and the Austro-Hungarian empire. Made himself dictator but died in a plane crash. Paraguay joins the Second World War as an ally of the USA and Great Britain on 7 February 1945 against Japan and Germany. 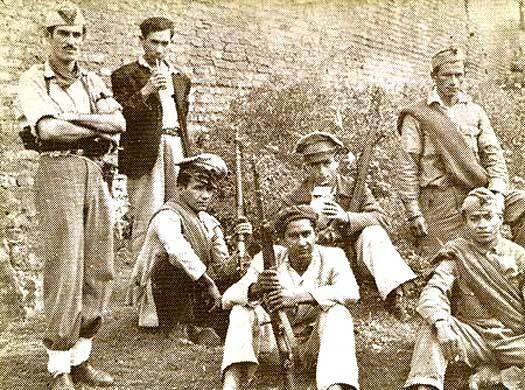 With several political parties fighting for control of the country, from March to August 1947, civil war grips the country. Early the following year, Morinigo forms a cabinet to end his period of absolute rule. Presidential elections are permitted in the same year, albeit with only one candidate standing. Unstable governments attempt to rule the country until Alfredo Stroessner establishes his own dictatorship in 1954 which, despite human rights abuses, nevertheless ensures stability once again. General elections take place as Paraguay begins its slow transition to democracy. Stroessner is deposed by a coup on 3 February 1989, and flees the country. The destroyed Liberal party is reborn as the Authentic Radical Liberal Party.